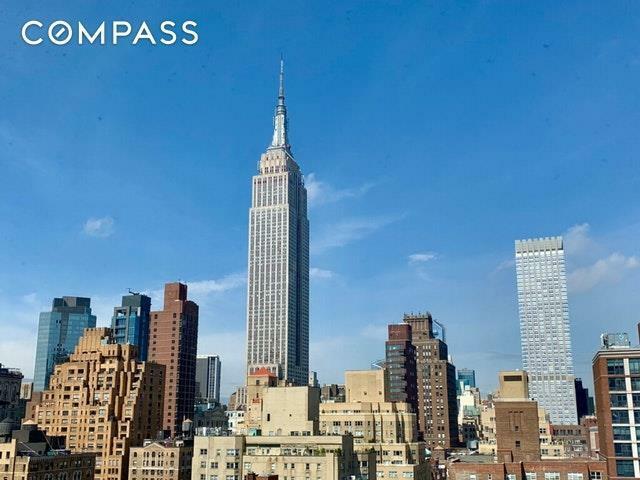 FLEXIBLY FABULOUS SUNNY EMPIRE STATE BUILDING VIEWS PIED A TERRE, CO-PURCHASES & GIFTING WELCOME :-) PETS NOT WELCOME :-( This renovated, expansive, Junior 1 Bedroom home has a big, lovable spirit and a sunshiny Western exposure. Day and night, the postcard-perfect vista of the iconic Empire State Building grace this winsome residence with world-class, trophy views. This feel-good, quiet home makes life easy, elegant, and fun. The living/dining area flows perfectly off of the foyer and redone kitchen, with its stone counters and stainless appliances (including dishwasher). The sleeping alcove is easily segregated, since it offers its own windows and its own HVAC unit (Please see alternative floorplan). With good closet space, a renovated bath, and a flexible, coveted jumbo layout, this resplendent residence stands out for all the best reasons. 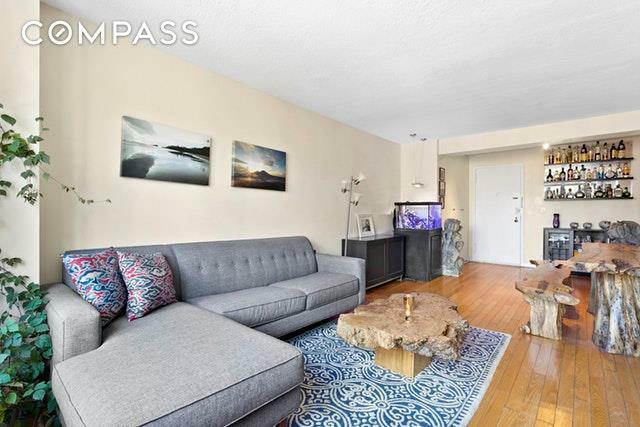 Perfectly perched in Murray Hills prized Carlton Regency a handsome and convenient address with no more than 5 residences per floor this happy home is a sweet find indeed. 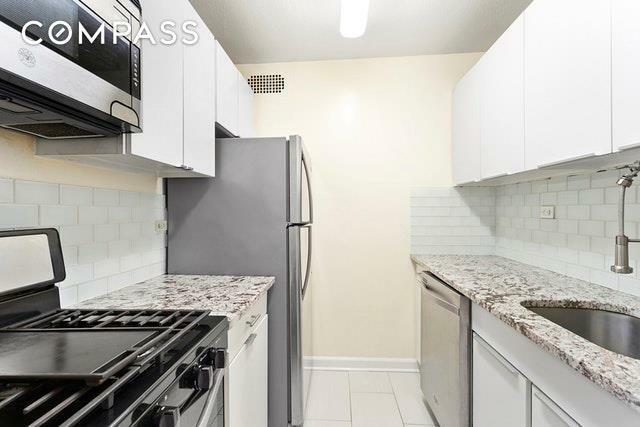 With enviable proximity to every area shopping, dining, and cultural destination not to mention easy access to Grand Central Station and Trader Joes life here comes with bragging rights. 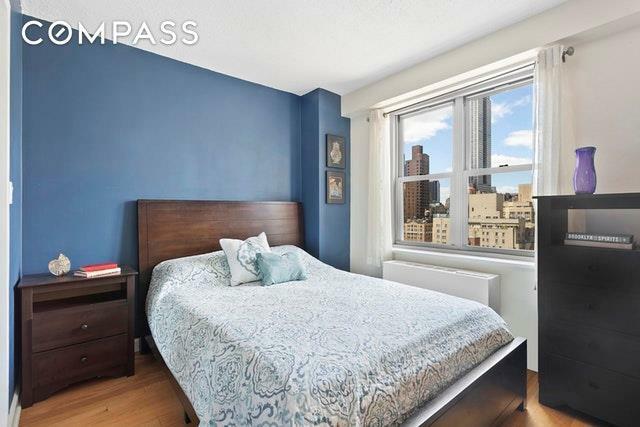 With a stellar staff, new fitness center, two laundry rooms, a garden, bike and storage rooms, and a treasured roof deck with jaw-dropping city views, this high floor hero is best in class for sure. Your fabulously flexible life awaits you.